For more information on the incident, as published in The Province click HERE. For further information you may also contact the RCMP. Don’t forget - Spring play “Alice in Wonderland Jr” is this week! 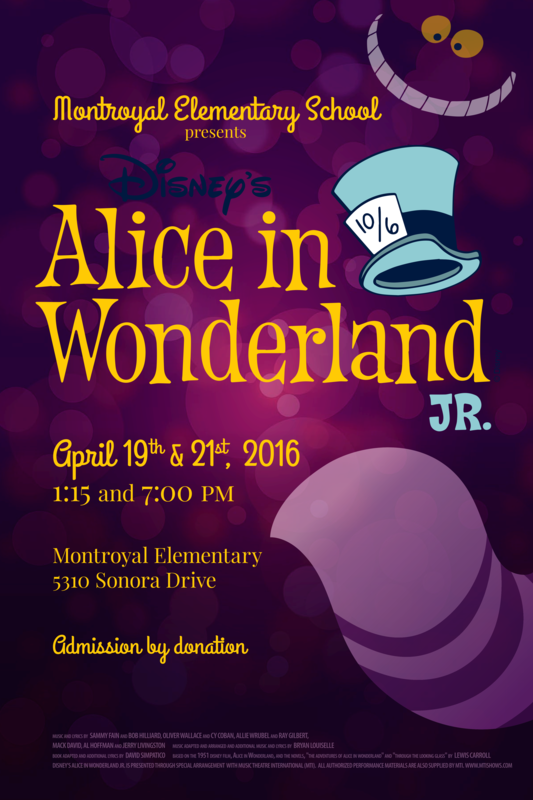 All donations go towards the enhancement of Mrs Hill’s amazing music program at Montroyal. 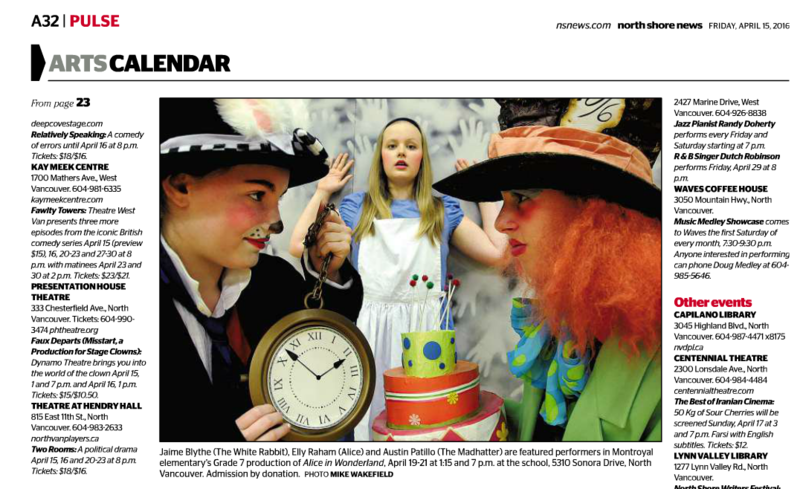 Check out a few of our performers in North Shore News! Gala MontRoyale’s Silent Auction Classroom Contest Now Closing Monday! Please get your donation into the office by 4:00 pm on Monday, April 18. Remember to label with your child's name and division number and kindly fill in the Google spreadsheet with your donation details (Google spreadsheet). The Classroom with the highest percentage of class participation wins a pizza party. One point per child only regardless of the number of items donated. Donations will be accepted until the end of the month but will not count towards the Classroom Contest after 4:00 pm Monday, April 18. Thank you for your support! You’re invited! Tickets are still available for Gala MontRoyale on May 7 at Hollyburn. Get your tickets and join the Montroyal community for a great night out with the goal of raising $20,000 towards new classroom laptops. Frosty Fridays are back! Place your orders online! Enjoy TCBY treats on now until June 10. Proceeds from this program benefit the Grade 7 graduating class' initiatives. Ordering open now until June 2. 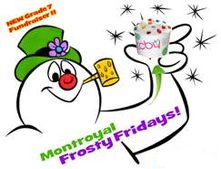 Login HERE, click Students at the bottom of the page, Frosty Fridays next to the child’s name. Don’t forget to drop your cheque in the PAC box for payment (no envelopes please). Thank you for your support. Informed consent and medical forms will be sent home so check students' backpacks. All the info is also posted on the school site. Early bird registration is on now! The deadline for the Early Bird fee is April 27 and you can register at http://sd44.schoolcashonline.com/ For more information visit NVSD website.